In response to a value-driven industry, Dunkin’ Donuts is changing things up with a simplified menu, remodeled locations, and advanced technology. By the end of 2020, the company plans to open another 1,000 stores, of which 90 percent will extend beyond its Northeastern home base. Competition is fierce in the industry, as both Dunkin’ and Starbucks along with other coffee providers seek ways to become the afternoon delight of choice. 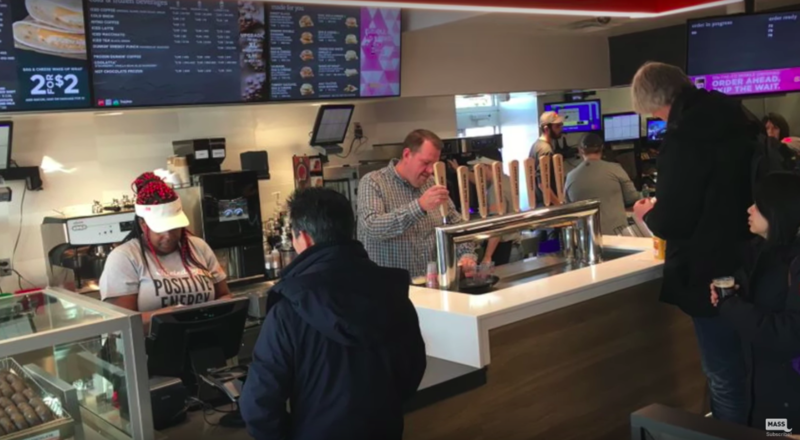 To this end, Dunkin’ is pushing franchisees to remodel their locations with new features ranging from bar-like tap systems to dedicated drive-thru lanes for mobile orders. In addition, Dunkin’ plans to ramp up its value offerings to include 2-for-$3, 2-for-$4 and 2-for-$5 deals on certain breakfast sandwiches. For enhanced convenience with contemporary appeal, Dunkin’ will increase the role of technology for its 8 million DD Perks loyalty members and emphasize on-the-go-ordering. CMO Tony Weisman hints that the company might explore new technologies like iPhone X face recognition to identify a tired customer in need of a coffee delivery, or integrate with Microsoft Outlook to suggest food and coffee orders for upcoming scheduled meetings. Read more here.